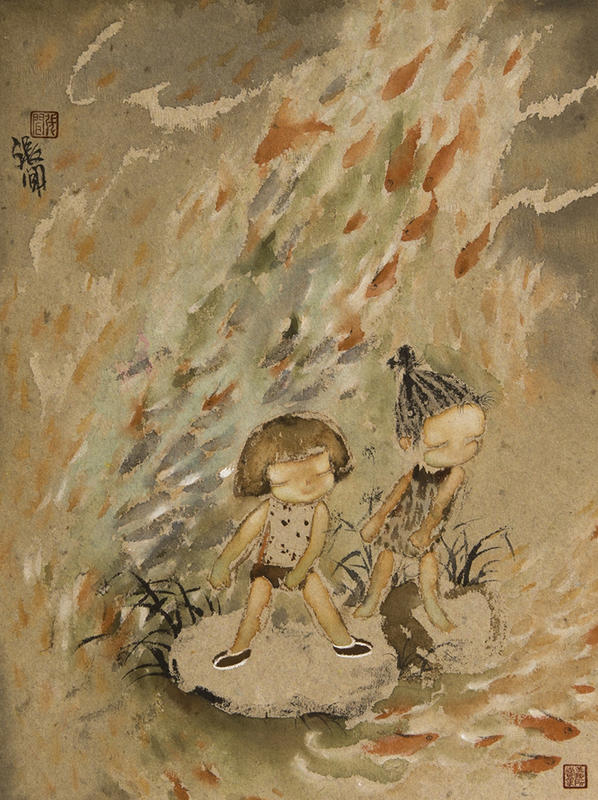 Zhang Wen’s Coming-of-Age series is filled with the nostalgia, experiences and revelations of growing up. 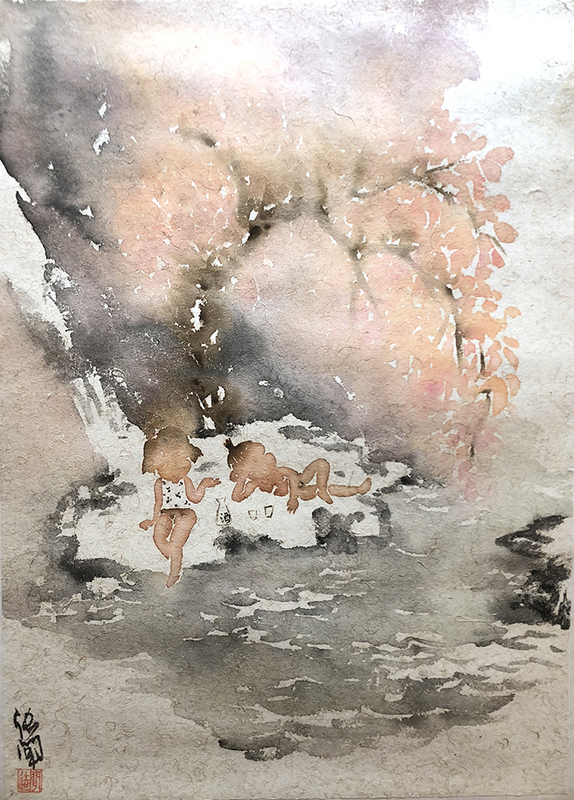 It is as if through her art, she can stave off that moment when the innocence of childhood is overtaken by the realities of adulthood. 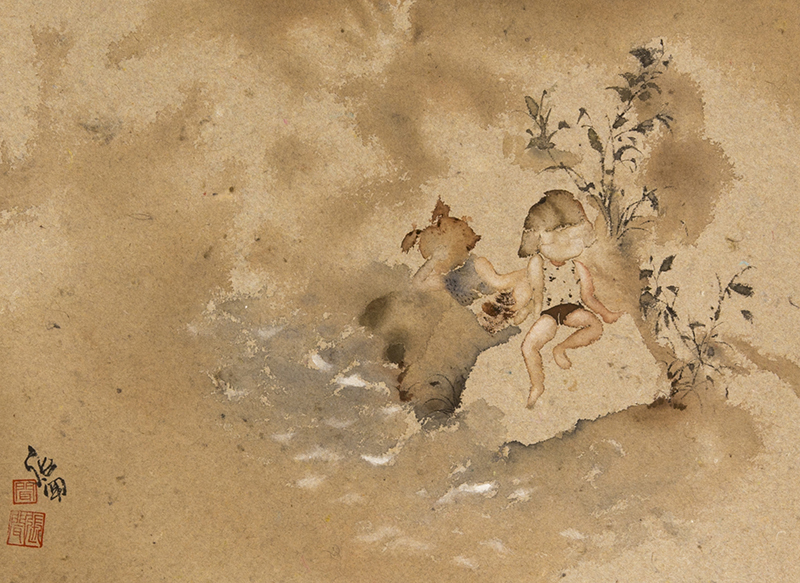 Her works carry a wistful wisdom; a knowledge that paradoxically, innocence can only be recognized retrospectively from the vantage point of experience. 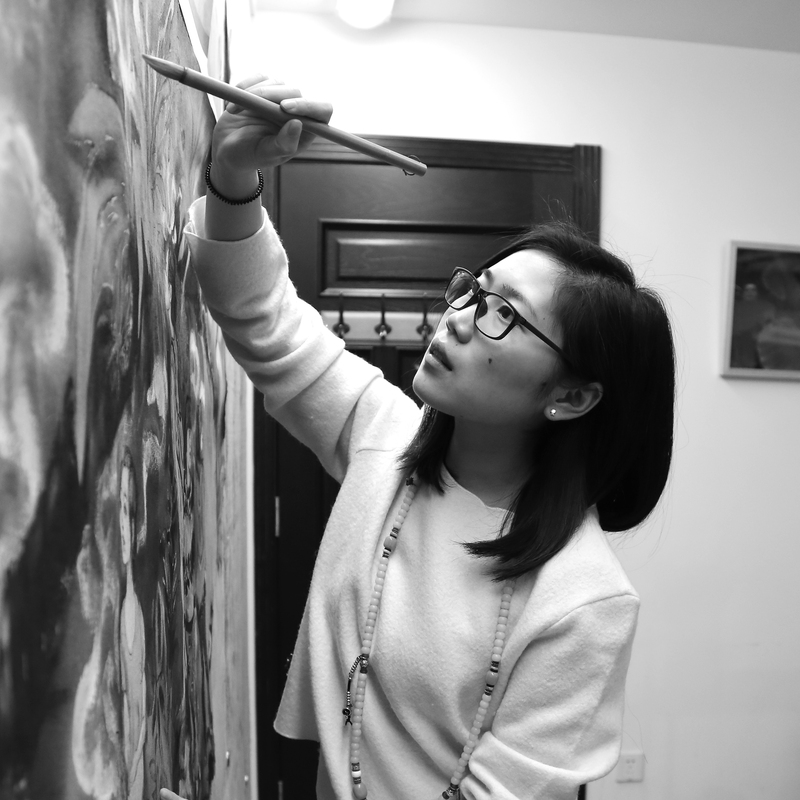 Currently a full-time professional artist based in Beijing. 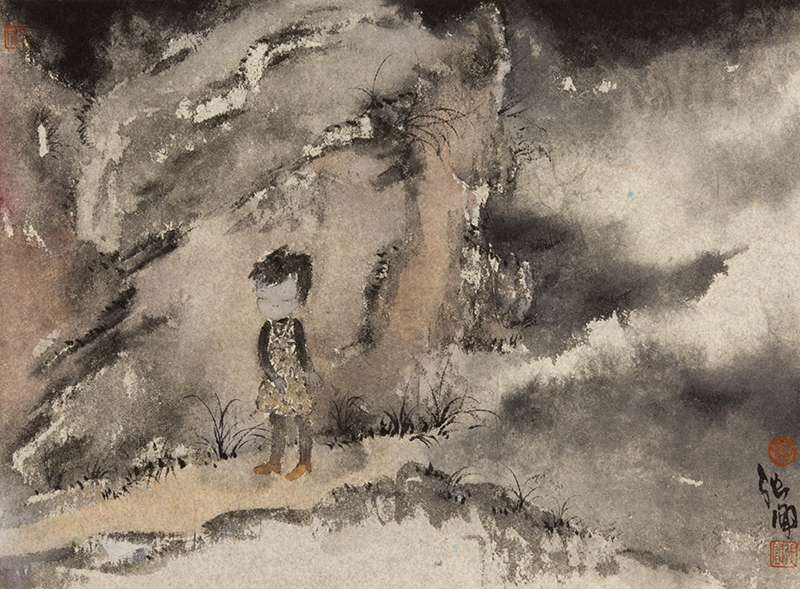 Zhang Wen’s Coming-of-Age series is filled with the nostalgia, experiences and revelations inherent in growing up, and it is almost as if through her art she can hold off that moment when the innocence of childhood is broken by the realities of adulthood. 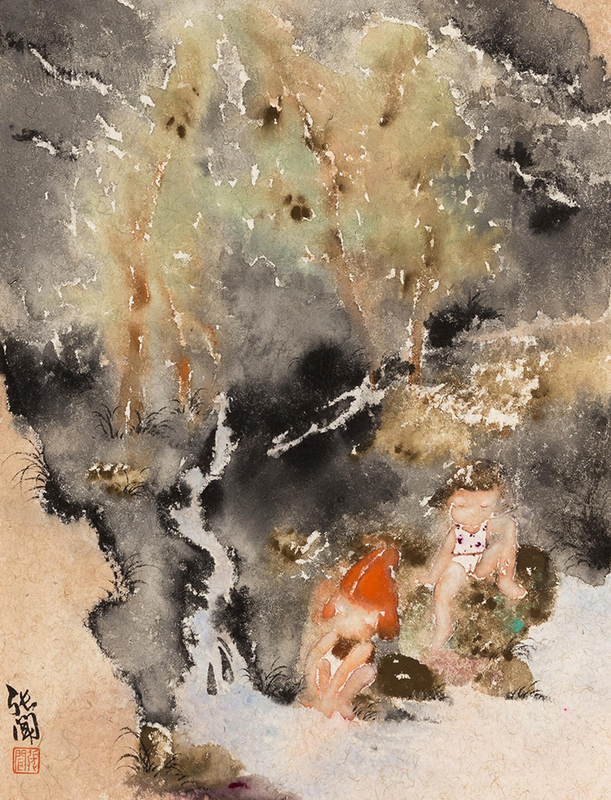 Her works carry a wistful wisdom; a knowledge that paradoxically, innocence can only be recognized retrospectively, from the vantage point of experience. 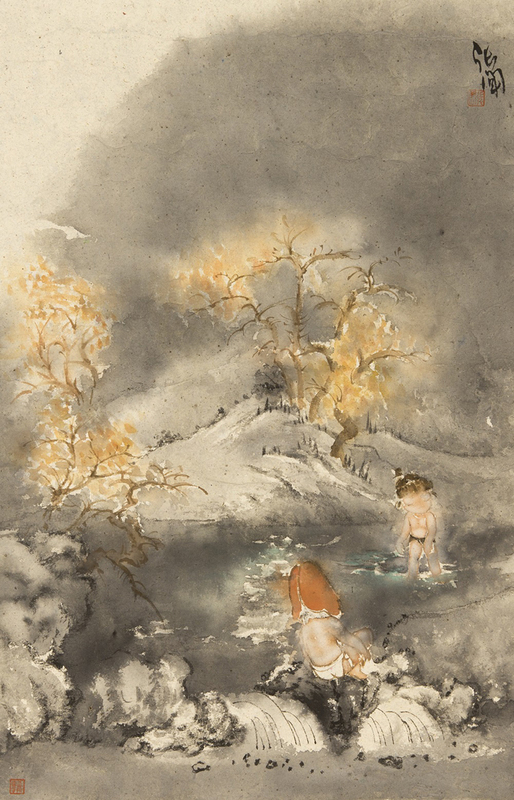 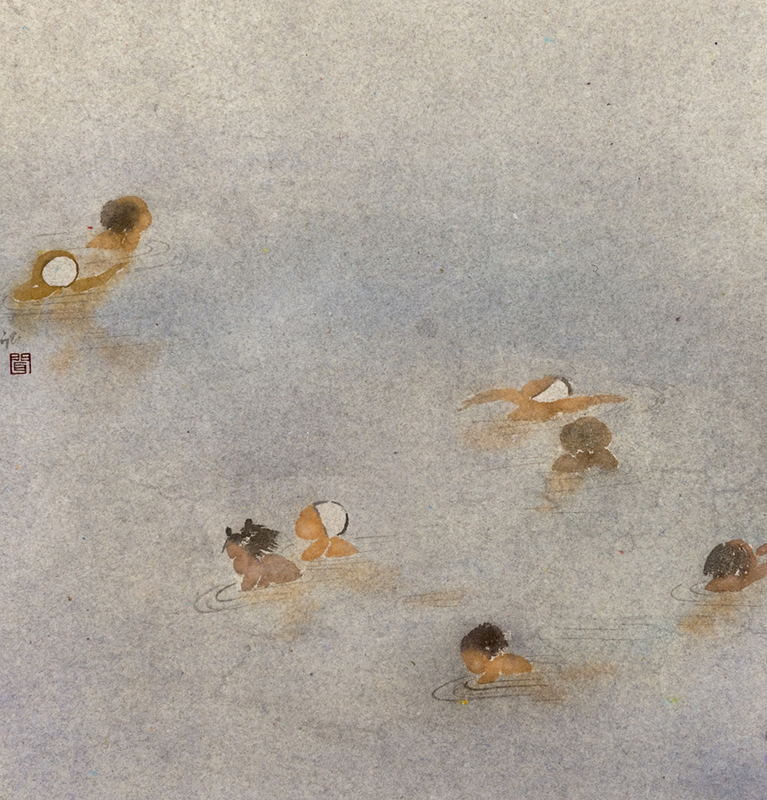 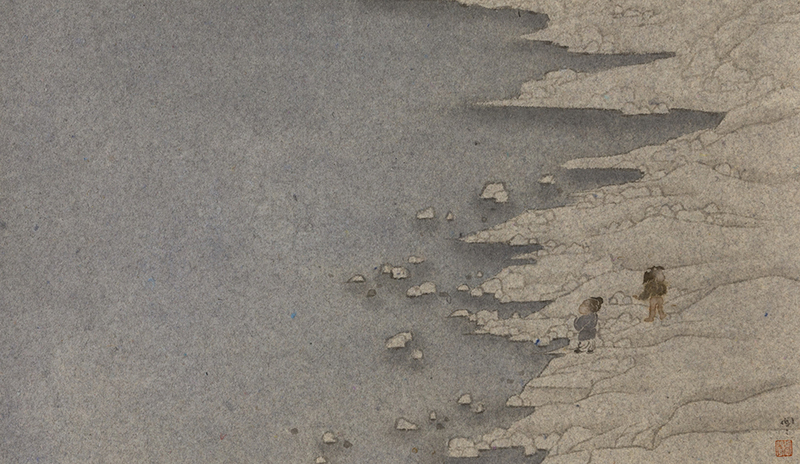 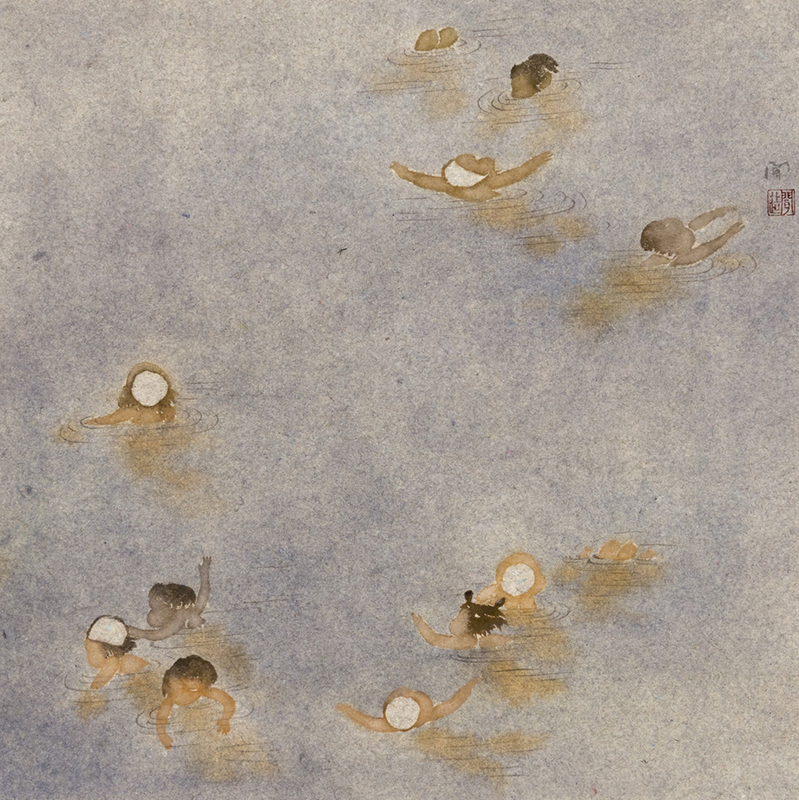 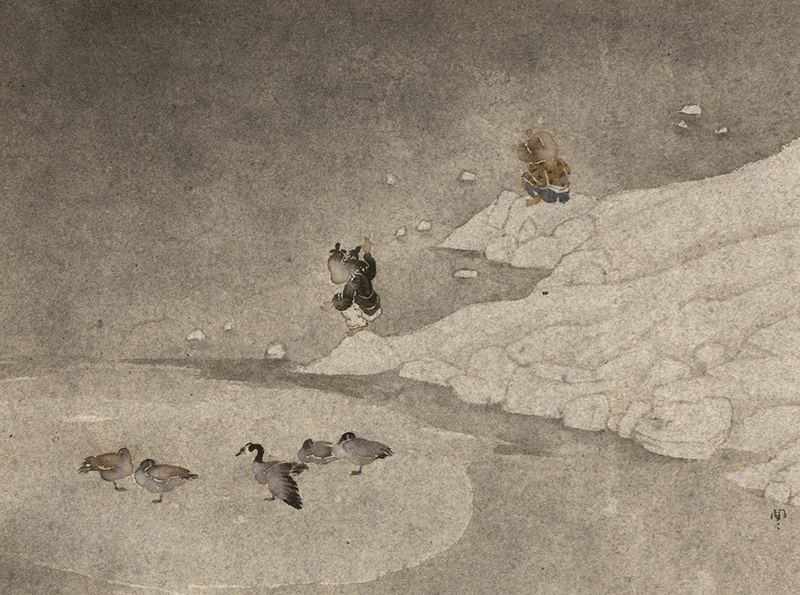 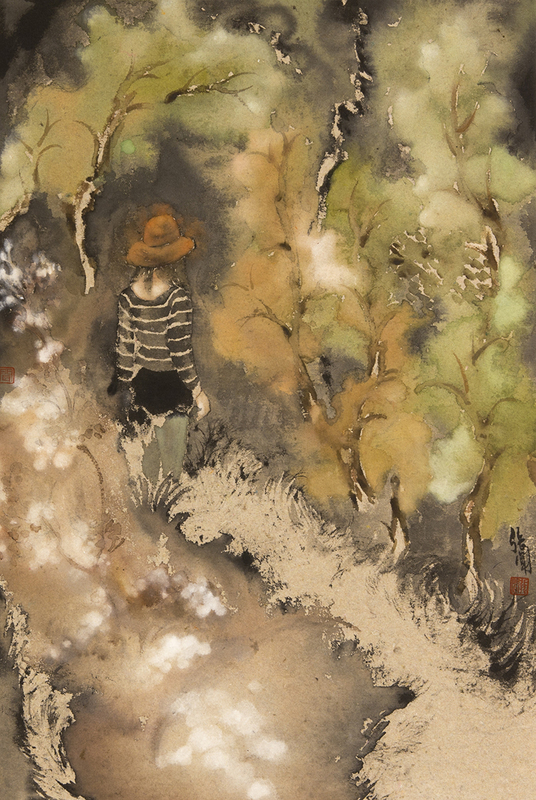 Zhang Wen paints of remembered places and pastimes, a celebration of puddled mud and autumn games of hide-and-seek. 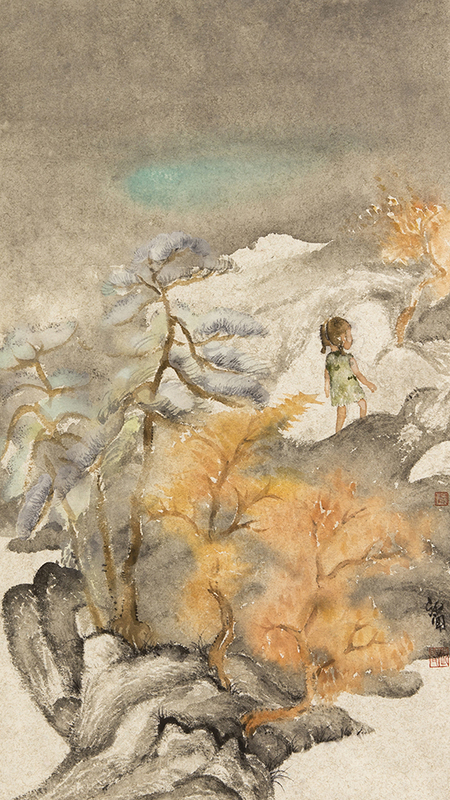 She reminds us that the story of your childhood is inseparable from the story of who you are. 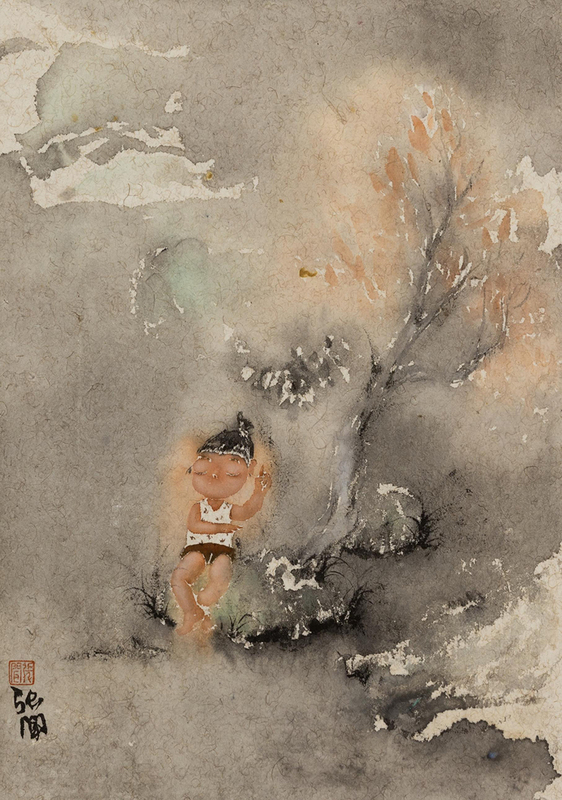 It is a time of happiness as well as well as childish disappointments; of smaller adults negotiating between childhood and the grown-up world. 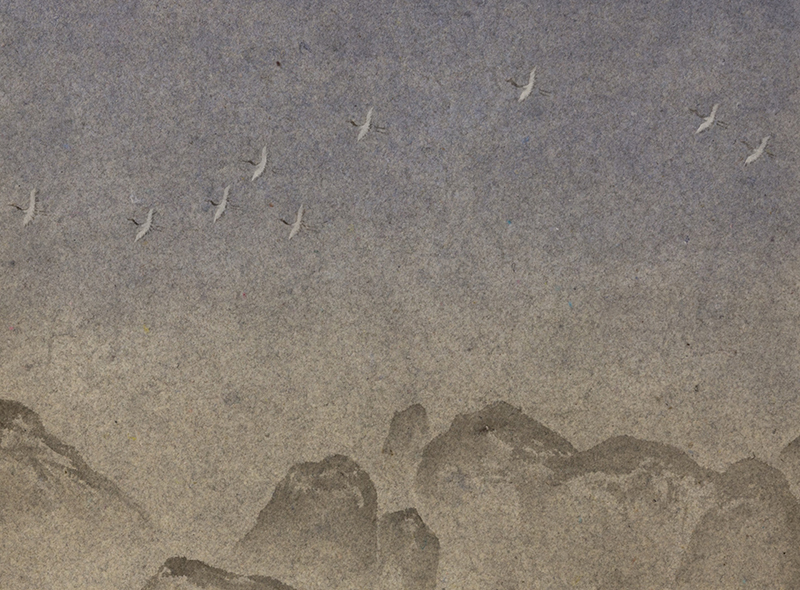 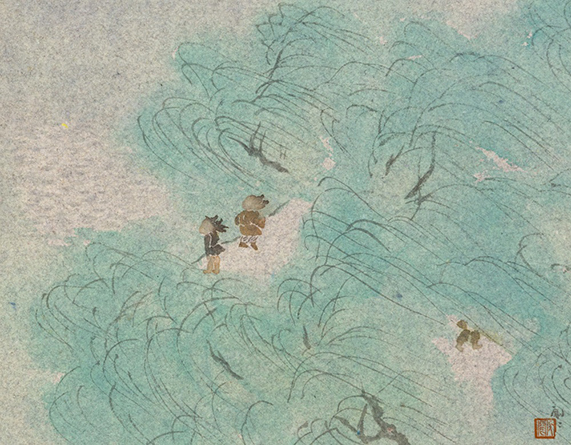 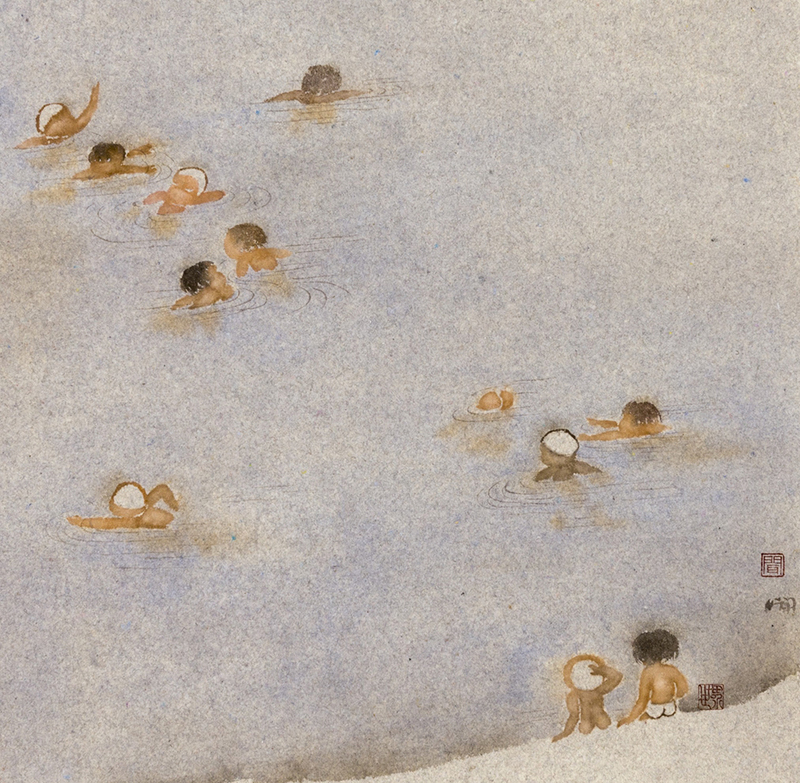 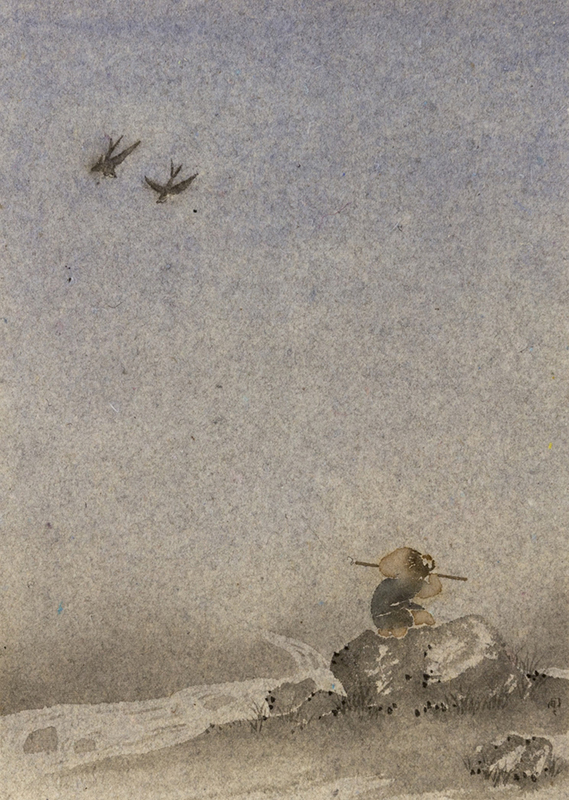 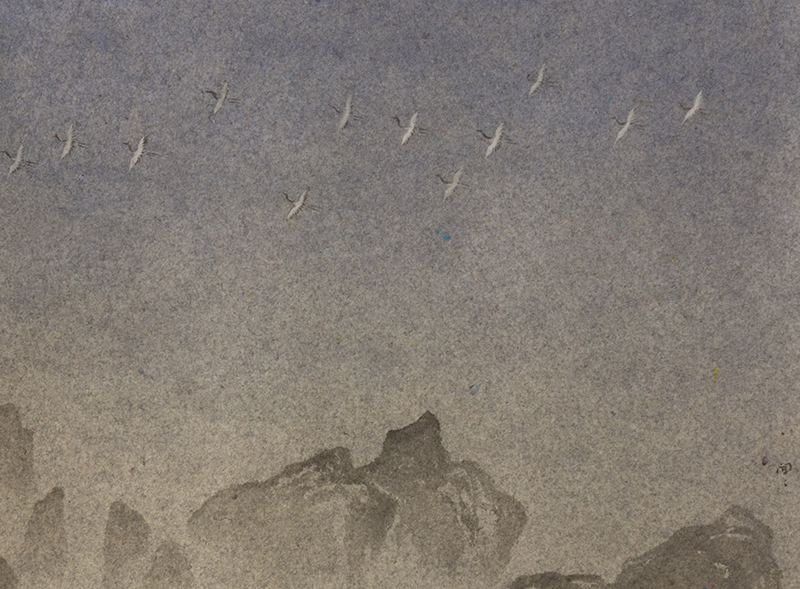 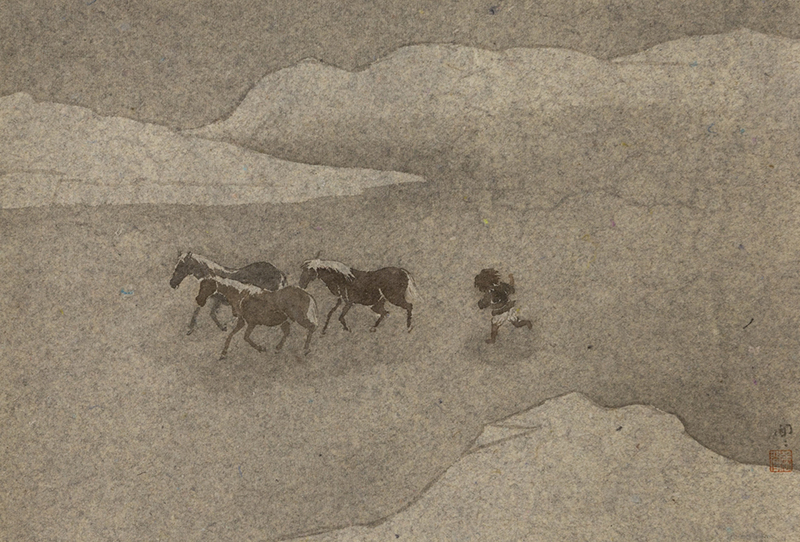 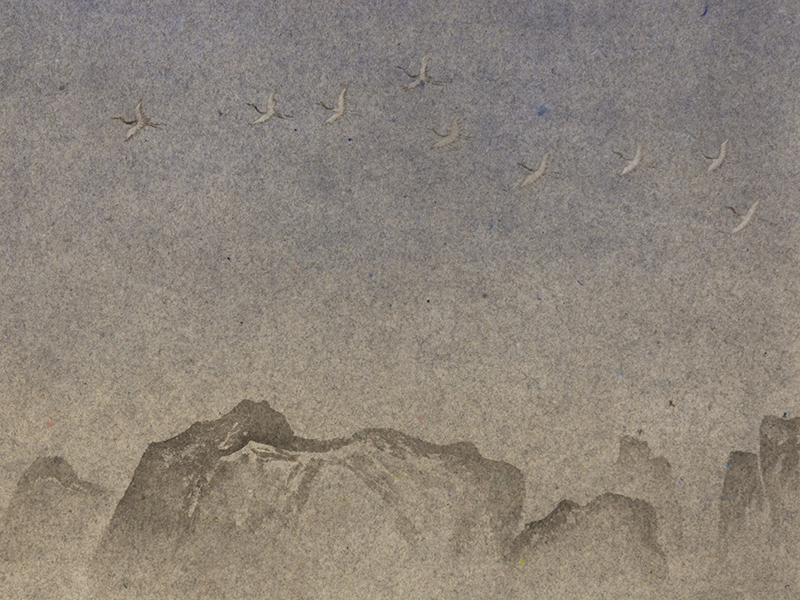 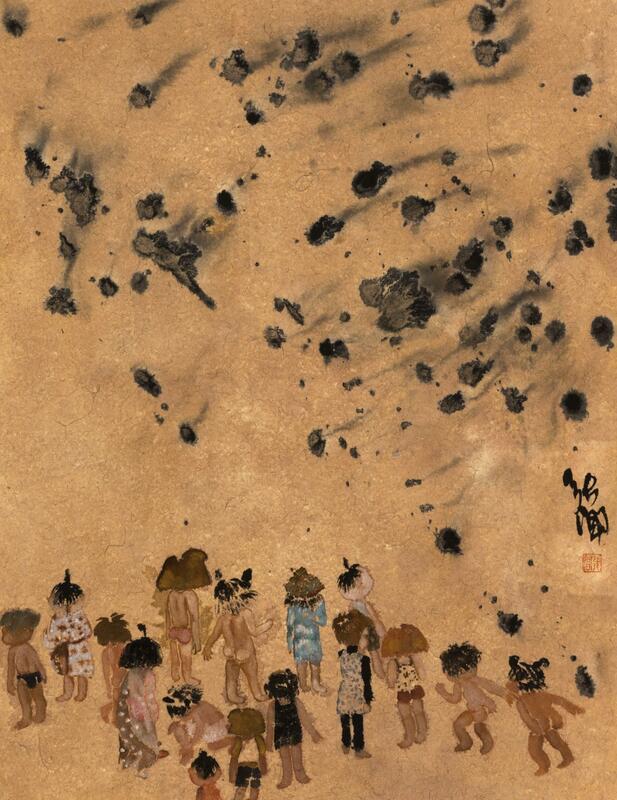 Zhang Wen’s brushstrokes are simple and forthright, a style that amplifies her narrative about childhood innocence. 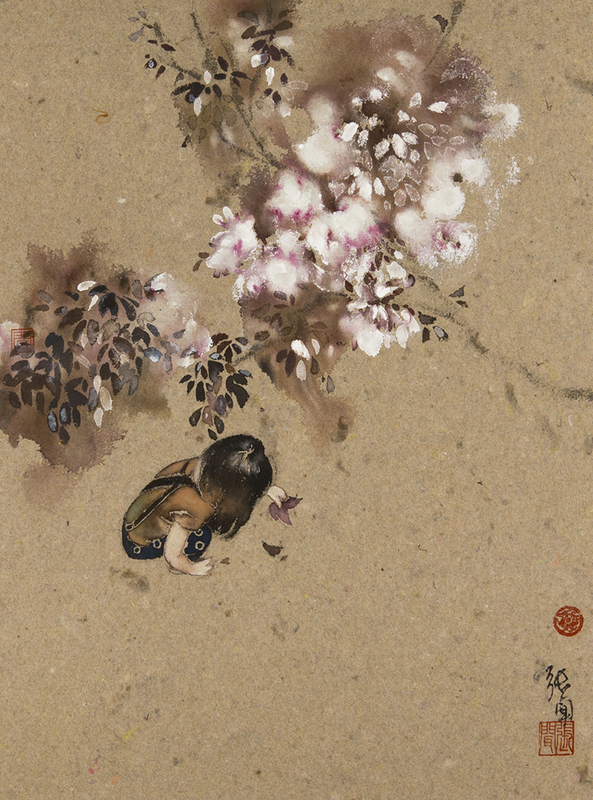 Her use of colour, tonal variation and colour saturation is reminiscent of traditional Chinese ink, and her exceptional composition and perspective reveals an uncommon intelligence. 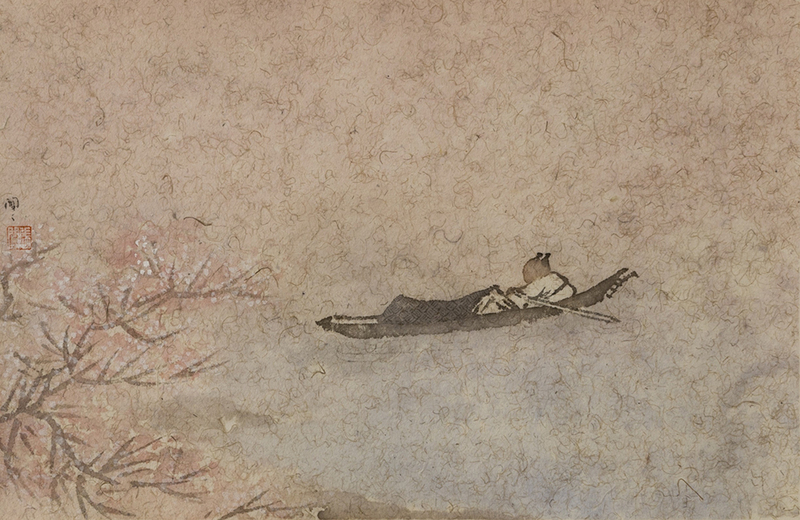 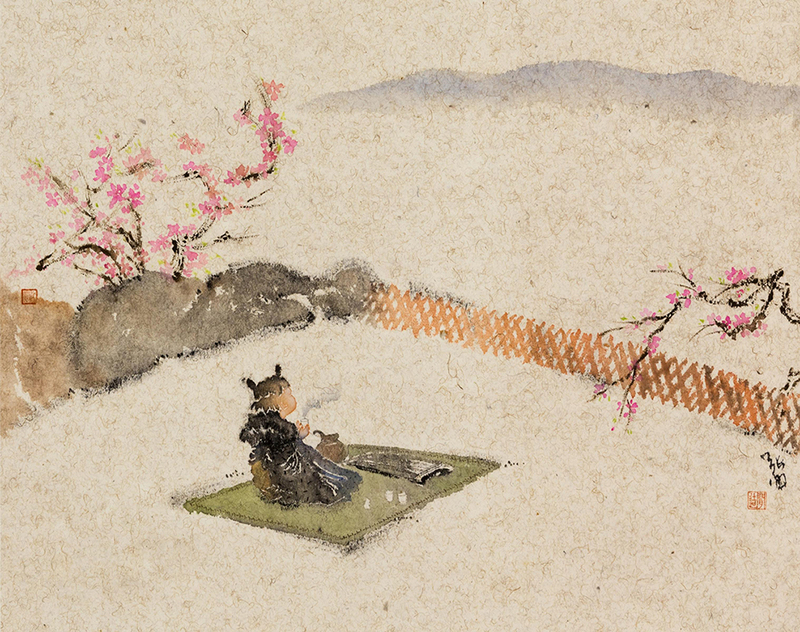 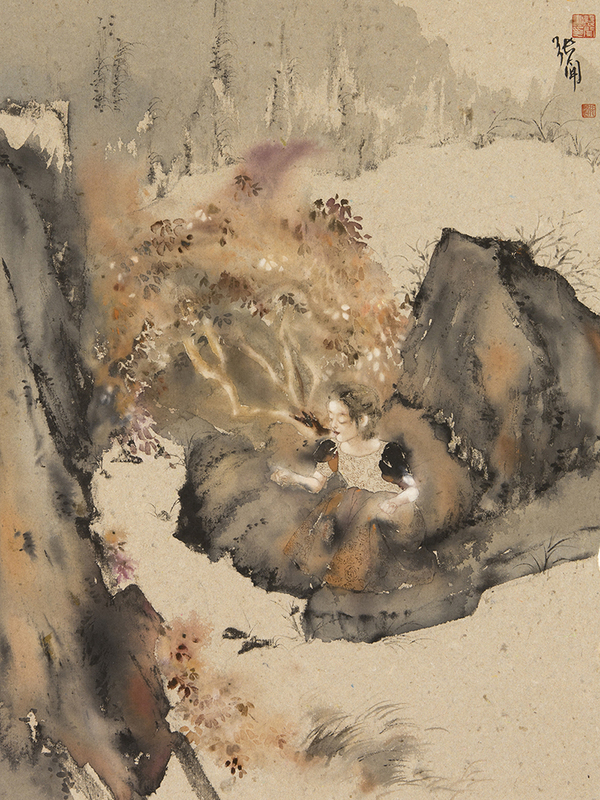 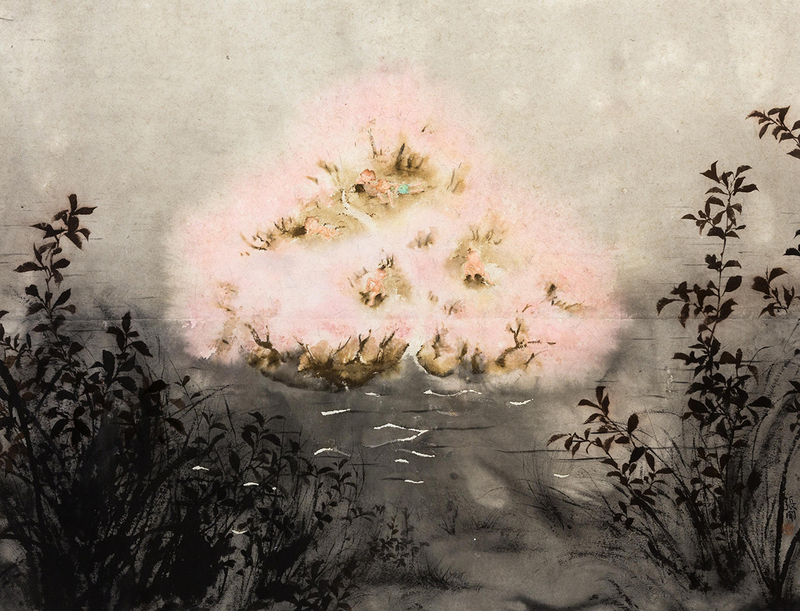 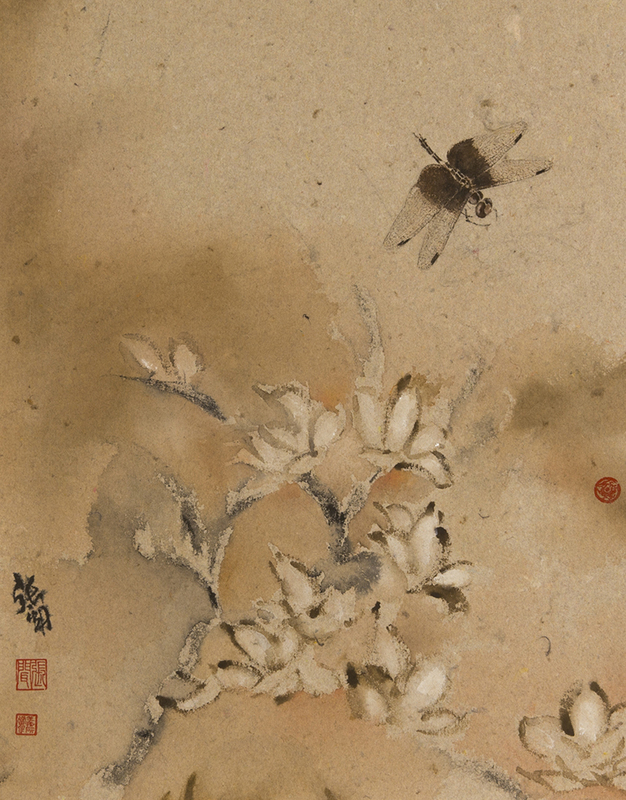 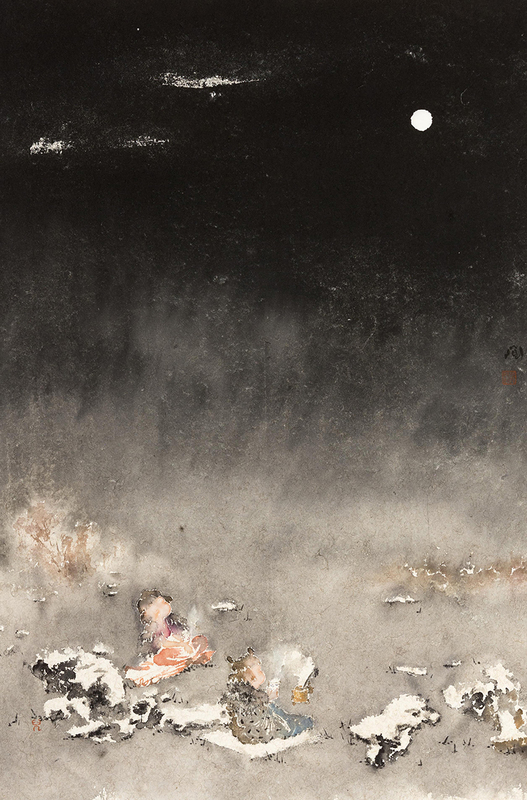 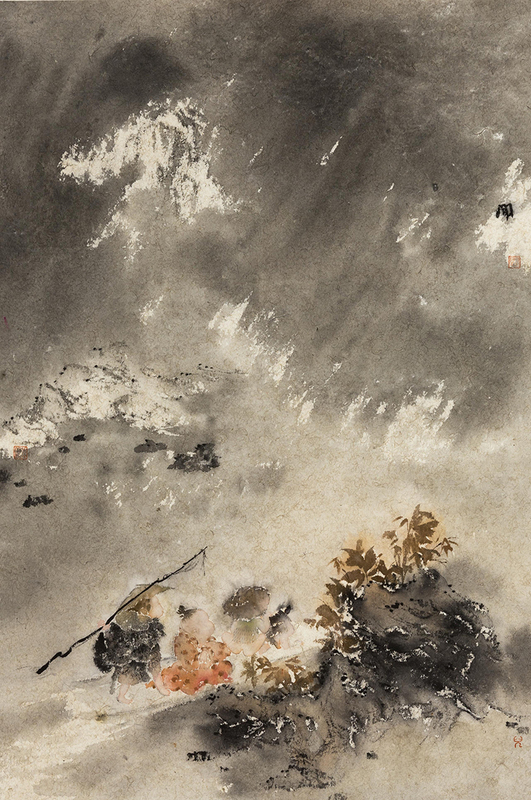 Her art has the distinctive feel and atmosphere of Chinese ink, yet at the same time is distinctive with her own intimately personal and experimental language.